People often give up when things don’t work out their way. The feeling of disappointment overpowers them. But there are few those who choose to take things positively. They see opportunities in challenges. They are solution-oriented. And such people always do well, no matter what field it is. Even in the field of beauty pageants, it is not just about beauty. Of course, physical beauty is important, but then the qualities, which single out winners from groups which are mostly filled with equally pretty girls, are often not related to physical appearance. These include determination, courage and most importantly a very optimistic attitude. There were two such stars in Indian pageantry for the year 2013. These girls had to initially face disappointment, but that did not deter these blessed souls; for they came back again and proved to the world that they are achievers. First among these is Manasi Moghe. This young girl from Nagpur finished her engineering in the year 2013. She got direct entry to the list of finalists of Miss India 2013 through Tiara contest. However, she was never among favorites in the pageant. Navneet Kaur Dhillon of Patiala and Sobhita Dhulipala of Vishakhapatnam were the favorites. Still Manasi showed sincerity during the training and also won Miss Active subtitle. She did not make it to the Top 10 finalists. Obviously it can be disappointing to anyone who made it so far in the most prestigious beauty contest of the country. No one really expected her to come back. But she did! She was one of the few girls of Miss India pageant who were finalists in the Miss Diva contest too. Miss Diva contest was the pageant for selecting India’s bet at Miss Universe. 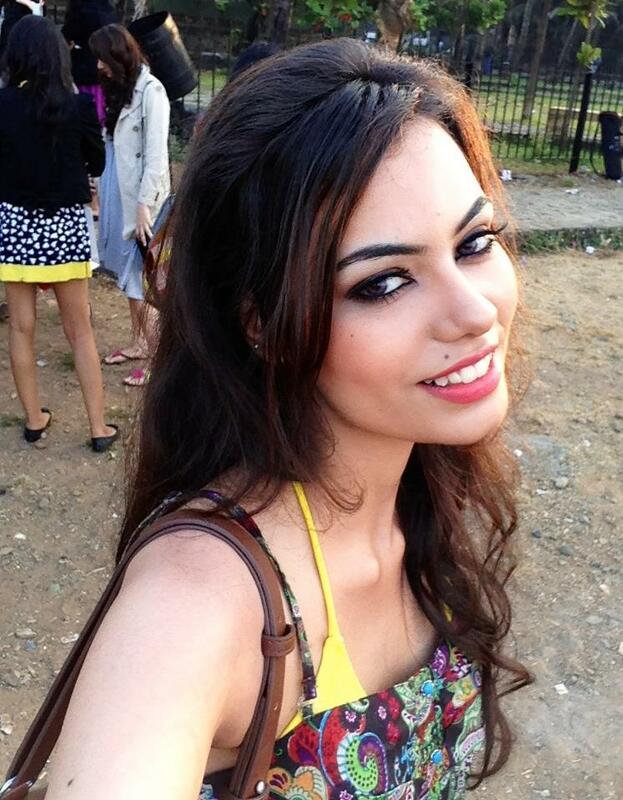 Unlike Miss India, Manasi was noticed during Miss Diva. Her pictures were striking and she had good presence. Srishti Rana was the clear favourite but Manasi ended up winning in the finals. It was shocking for most who followed the pageant. Manasi was never among the favorites. But still she made it to the top. Once the video of the finale was released, it was clear why she won. She had a lot of grace and presence. She looked like a beauty queen. Eventually people started to accept that she deserved her victory. And then came Miss Universe pageant! Now hopes were moderate from Manasi. India was not doing well in recent years and Manasi was not considered among the HOT favorites. But she entered the pageant with confidence and very soon people started noticing her. Her shot in white bikini at the swimming pool was her first shot to popularity. People noticed her in the picture that was used for promotion of preliminary contest on website. She looked pretty in most events. However, the turning point was the preliminary contest, where she total swept everyone off their feet with her fairy-like smile and amazing face. She was instantly among the favorites. Sites like Global-Beauties & Missosology, which didn’t have Manasi in their lists, were left with no option but to include her. Hopes were high from her now. And she lived up to them. In finale, she was among the 15 semi-finalists. She made the cut after swimsuit round and gave a stellar performance in evening gown round. She was left out of top 5, but she won everyone’s hearts. She is considered one of the best Miss India’s of all times by many. What really puts her apart is her humble attitude and positivism. We see her as someone who did not give up after failure but learnt the lessons so well that she succeeded beyond the expectations of everyone else! She is someone from whom we all can learn a lot. Second such case is of Srishti Rana of Faridabad. 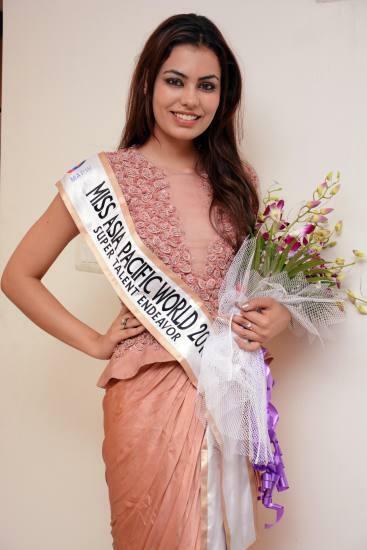 She was among the runner-ups of Delhi contest and was among the 23 finalists of Miss India. Not among the popular girls, she was never a big favorite. But she was always noticed and hence her presence in Top 10 was no surprise. Answering Shiamak Davar’s question, she made it to the top 5. Unfortunately she gave a very weak answer in top 5 and hence her absence from the three winners was no surprise. Still, she didn’t give up. She came back in Miss Diva contest and was a mega-favourite. Unfortunately she could just be a runner-up. Her fans were disappointed to the extent that some of them every started a hate-campaign against eventual winner. Of course, it was short-lived. Srishti on the other hand took this positively. At no medium did she express her sorrow about not winning. She looked happy in interviews after winning and shared pictures of the three winners on social media. It was quite graceful and matured of her to do so – to make the most of what life gave her. She was sent to Miss Asia Pacific and she gave her best there. The reigning queen was Indian (Himangini Singh Yadu) and hence winning the pageant was difficult but Srishti did it. She received a big welcome when she returned from Korea and her victory was all over the news. She had lost twice but she didn’t give up and finally she emerged as a very big winner. She totally deserved the success! It is nice to see that human spirit prevails in spite of the odds and the girls who portray the same in pageantry are the ones who are most beautiful among all! Life awards determined and optimistic people with successes and these two girls are certainly bright examples of that! Love you both, Manasi & Srishti! These two girls are a big inspiration to the girls who participate in Miss India coming years. As their sash says, they are truly divas not only physically. Gems of Miss India 2013. No one can deny the humbleness of these girls and they got noticed for that and atlast their hardwork paid off. Good Luck for your future divas. Thanks for representing us, India so well and came home with a pride!! !